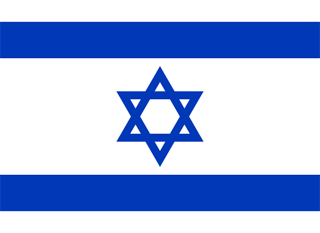 The flag of Israel was officially adopted on October 28, 1948. It displays one of the most recognized symbols in the world - the Star of David - long associated with the Jewish people. The blue and white colors represent the traditional Tallith, the Jewish prayer shawl. 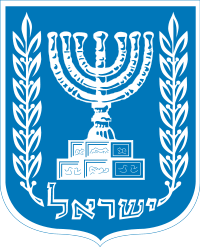 The emblem of Israel consists of a blue shield depicting a menorah surrounded by olive branches. The menorah symbolizes universal enlightenment, and the olive branches represent peace.